The minimum Comprehensive Ranking System (CRS) score required in order to receive an Invitation to apply (ITA) has dropped to a low. 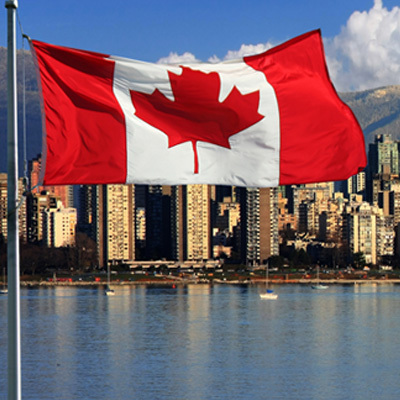 Candidates with a score of 431 or higher can now apply for Canadian permanent residence. The Canadian government through the Immigration, Refugees and Citizenship Canada (IRCC), has invited 3,753 individuals to apply for Canadian permanent residence in its latest Express Entry draw. The draw, which took place on April 5, 2017, representing the fourth time in 2017 that the minimum Comprehensive Ranking System (CRS) score that a candidate requires in order to receive an Invitation to apply (ITA) has dropped to a low. Candidates in the Express Entry pool with a CRS score of 431 or higher are now in a position to submit an application for Canadian permanent residence. The IRCC expects to process applications within six months, meaning that these individuals and their families are likely to be in a position to arrive in Canada before the end of 2017. Candidates for the immigration programs managed through the Express Entry system - the Federal Skilled Worker Class (FSWC), the Federal Skilled Trades Class (FSTC), and the Canadian Experience Class (CEC) are required to enter the Express Entry pool. Upon entry into the pool, candidates are assigned a CRS score based on civil status information and additional factors such as education, work experience, and language level, among others. Candidates are ranked on the basis of their CRS score, and the top-ranking candidates are invited to submit an application for Canadian permanent residence in the periodic draws conducted by the IRCC.